R.E.M. 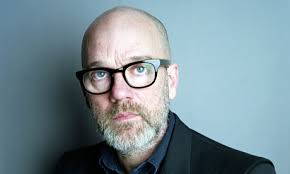 frontman Michael Stipe recently sat down with Anthony Mason of CBS This Morning and was candid on his plans to sing again, along with the future of the iconic band. When asked about a R.E.M. reunion, Mr. Stipe said “No. That will never happen… There’s no point.” He goes on to add that he despises nostalgia (Heritage Acts) but has full respect for them. The soon to be 55 year old plans to sing again soon, just not with R.E.M. The band recently released a six-DVD career spanning box set entitled REMTV. If you’re looking for a last minute stocking stuffer for the R.E.M. fan in your life, look no further.